“The arrival and action” / Venice, Italy – Day 1 & 2 & 3 | An Artist Abroad! 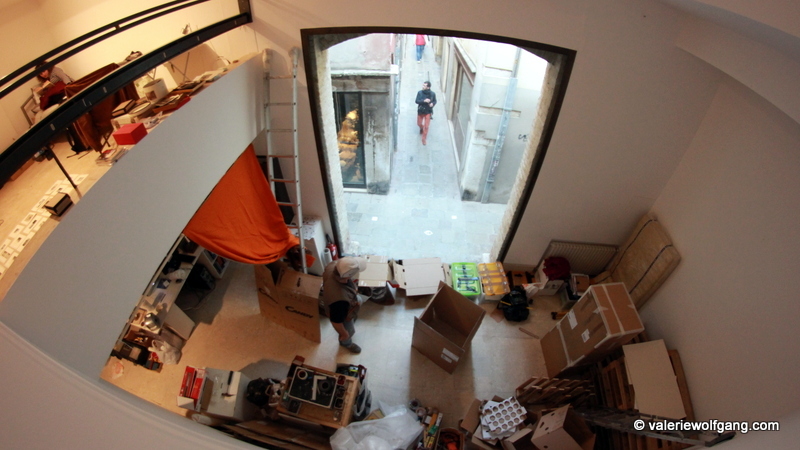 This is our third day in Venice and we are in full action with setting up the exhibition “Cimri, ne čimri” (Flatmates) in the Slovenian Exhibition Center. Exhibiting artists are: Tomaž Burlin, Pila Rusjan, Noemi Veberič Levovnik and Valerie Wolf Gang. Gallery will be treated as fictional apartment for artist (flatmates) whose personal poetic will meet there and create complex and entertaining whole together with conflicts and coordination, harmonies and differences. 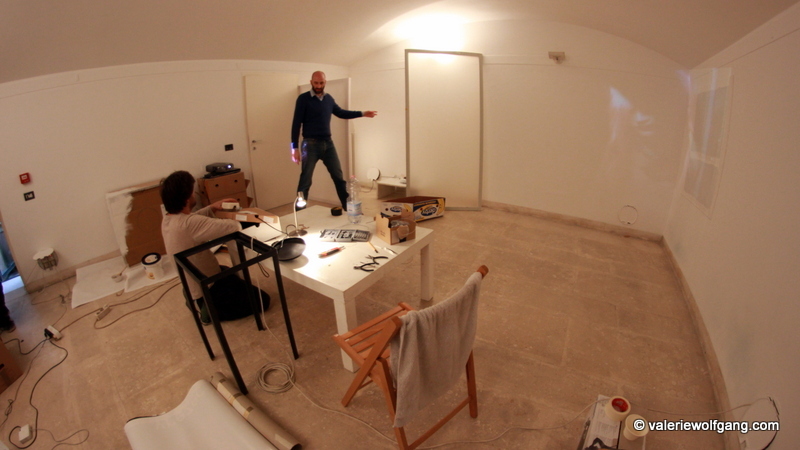 Gallery space will be divided by function into six rooms: Bathroom, Kitchen, Living room, Toilet, Girl’s bedroom, Tomaž’s room. Each of them carries its own concept which always relates to a wider story: individualistic cohabitation. 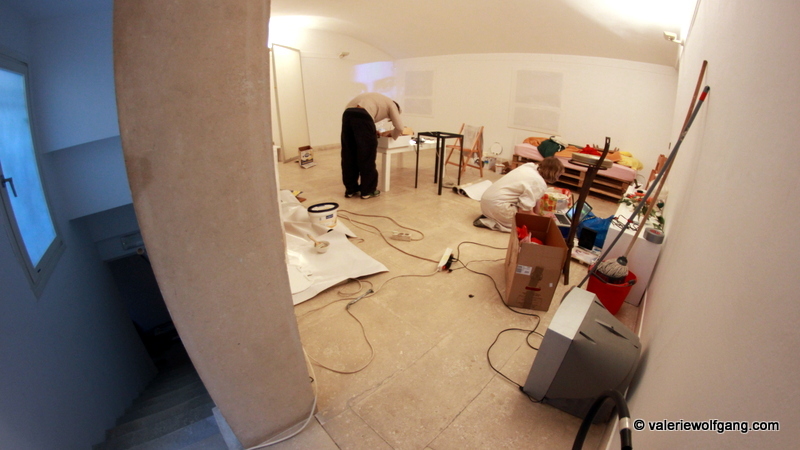 Everything is still in a big mess, but we are working from morning till dawn and setting up everything. 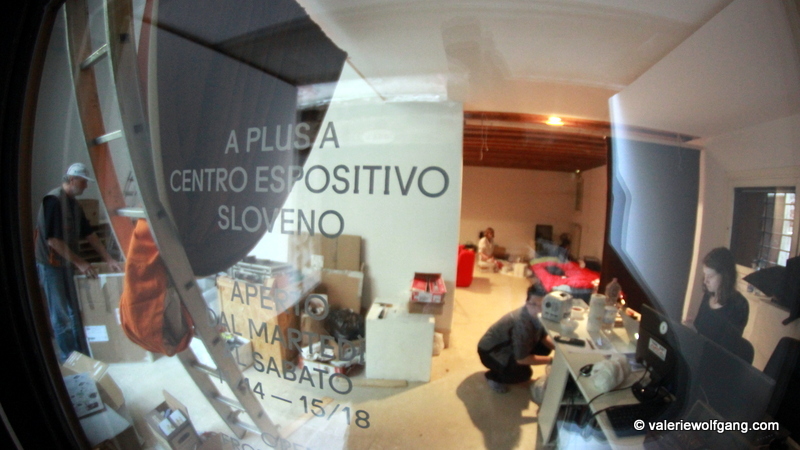 Exhibition opening will happen on 20th of March (at 18:00) so we have enough time to complete all the installations and set up videos, films and photos – with a big help from 4 technicians: Urša, Štef, Janko and Dejan. You can see some of the glimpses of today’s work below and stay tuned for more – we will post a new blog entry every day until the opening! 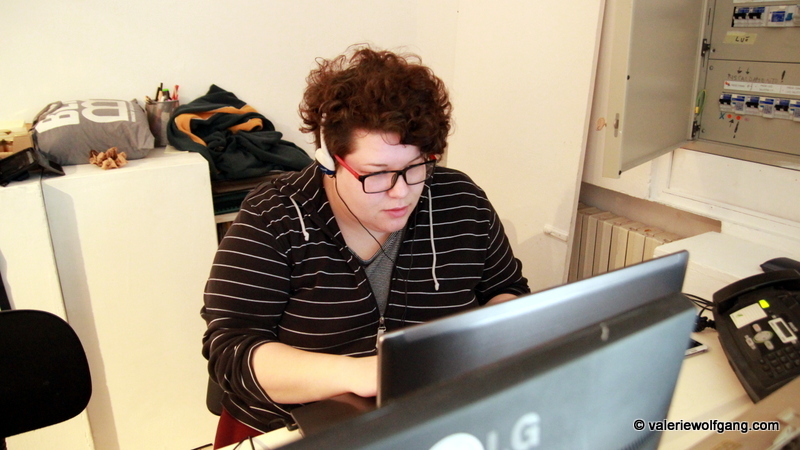 Artist Valerie Wolf Gang mastering final versions of the videos. 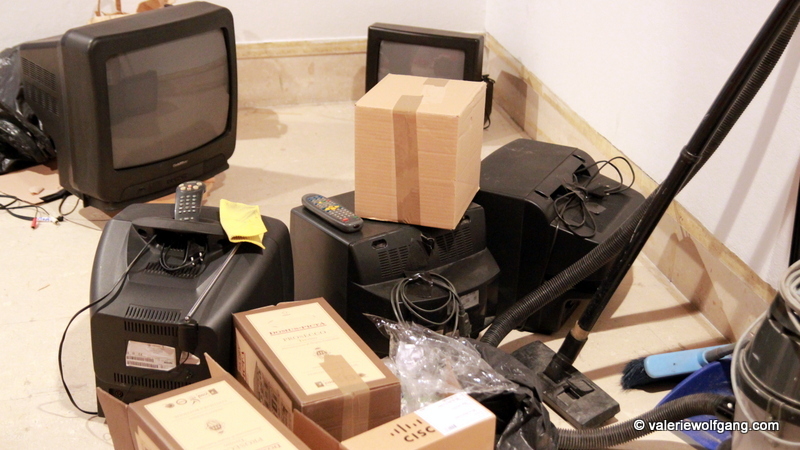 A lot of technical equipment lying everywhere in the gallery. 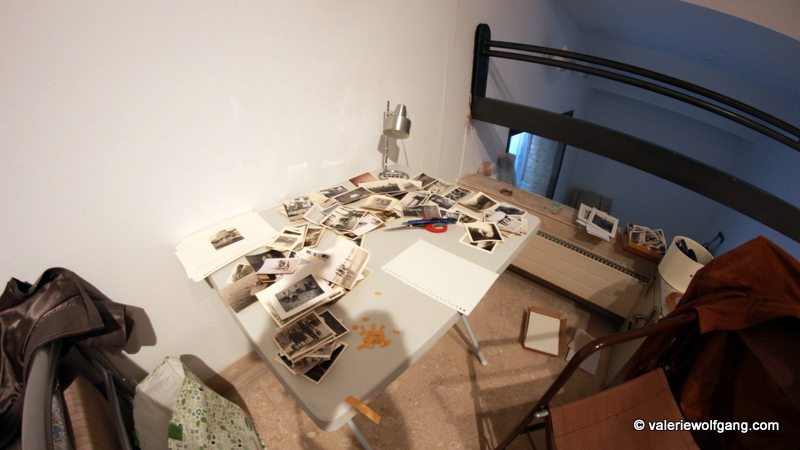 Artist Tomaž Burlin focusing on his photo series and preparing it for the walls. 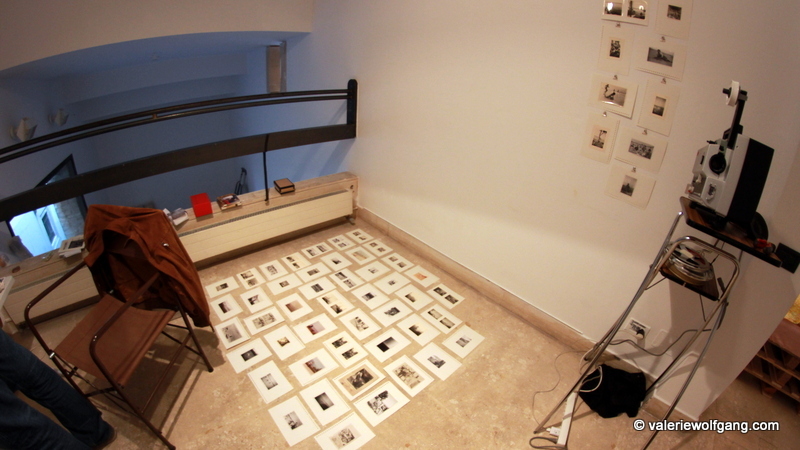 Artist Noemi Veberič Levovnik testing the space for her paintings. 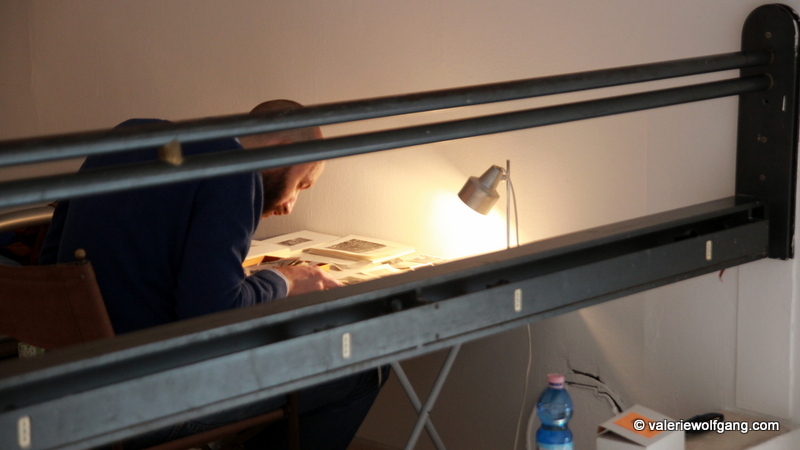 Artist Pila Rusjan behind the computer and ground floor of the gallery in the backdrop. Pila working on the computer, Urša and Janko working on technical coordination. 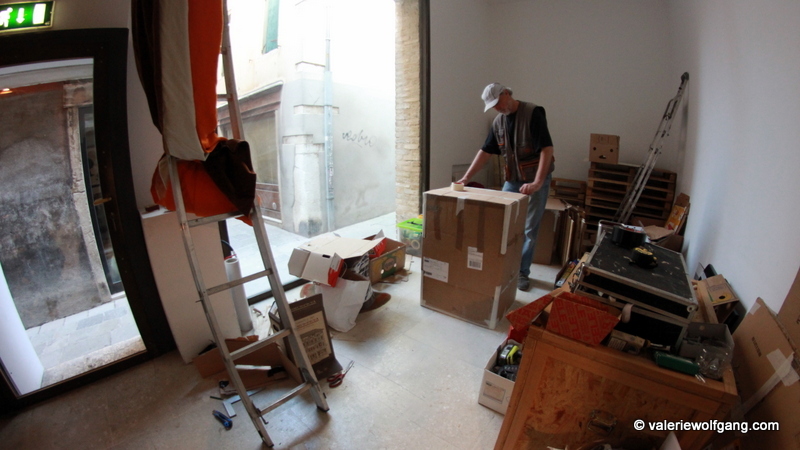 A lot of furniture will be made from cardboard. A look from the street. 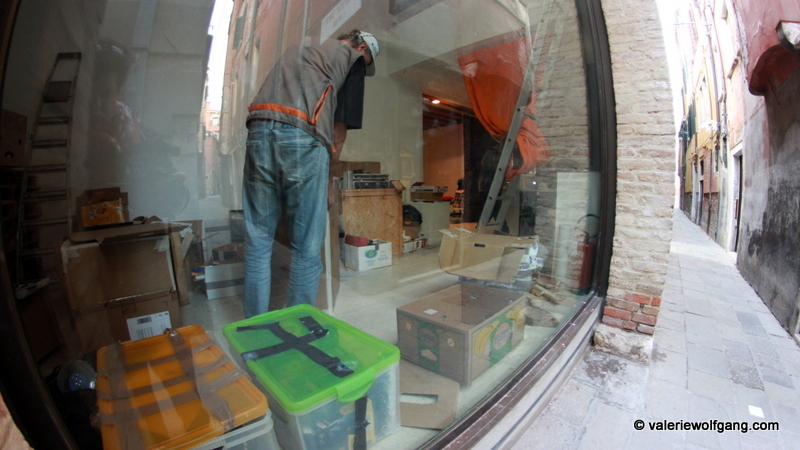 What you see if you look through the glass door – work in progress! 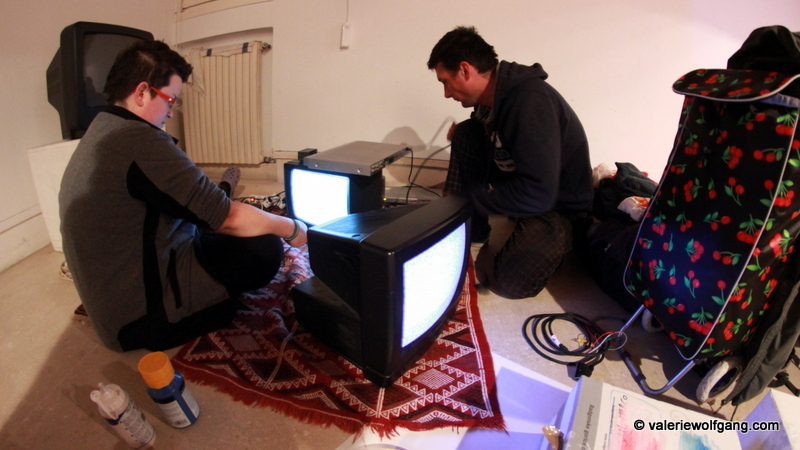 Urša and Dejan setting up the TVs and players. 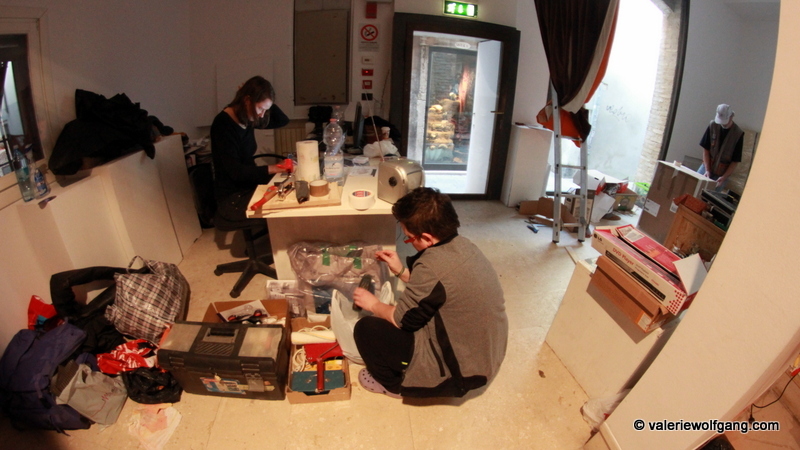 Štef and Noemi working in first floor. 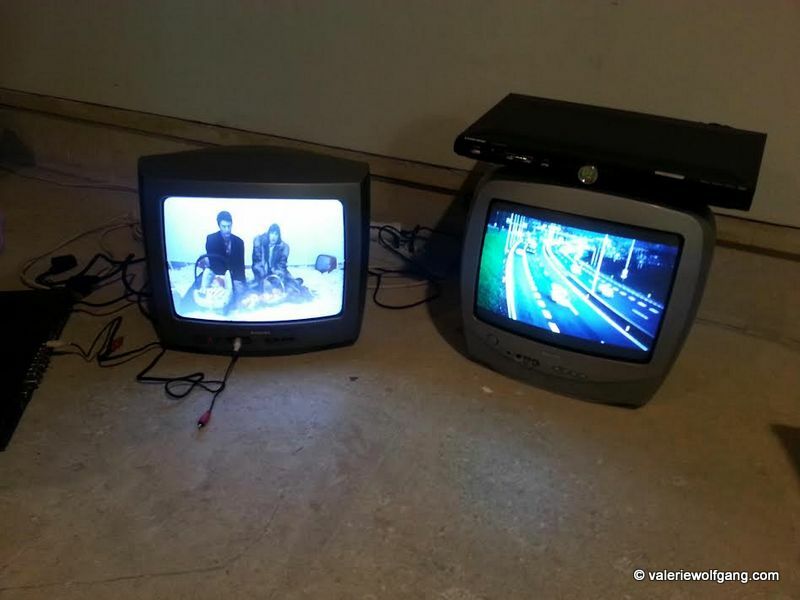 Testing videos – there will be more than 20 videos, many photos, installations and other interactive works, so the process of setting up is very time consuming. That’s all for now, let us get back to work and we’ll share more moments with you tomorrow!